Have you ever thought you would like to quilt but you just don’t fit the traditional quilters mold? What if you are an experienced quilter but are looking for that unique twist to change it up a little. Then this is something just for you because the cornerstone of modern quilting is improvisational patchwork. We won’t do any trust-falls, but you will probably take a couple of steps out of your comfort zone, and who doesn’t love exploring something new. At the end of the day you will have half of your blocks of your quilt finished as well as guidance on how to finish it. Leave your rulers, rotary cutters and mats at home, grab a bag of scraps, and get ready for a wild ride! This technique make for a great scrap-busting project and is fun for the experienced quilter or the newbie. Call us at 979-693-6592 to reserve your space in this exciting and fun class. 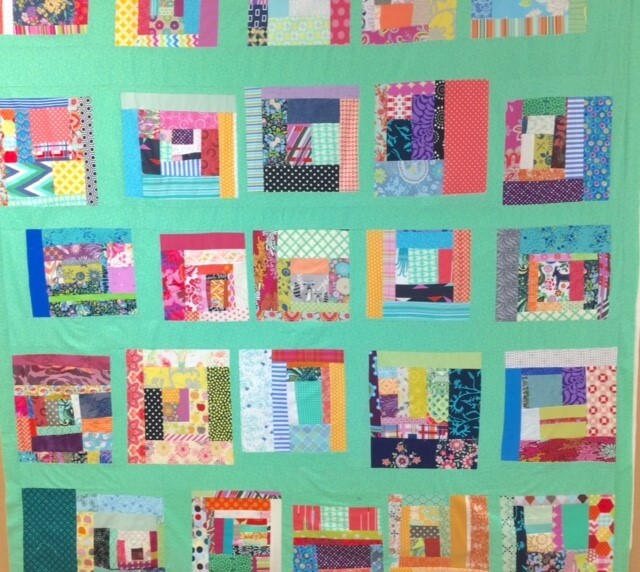 Check out this great quilt and get signed up today! Have you wanted to learn about applique? Always thought it would be neat to do but just don’t know how to even get started? Take this fantastic class by Danielle and learn all about machine applique and fall in love with this very addictive technique. In this class we will cover using satin stitching, blanket stitching and even talk about machine features that you possibly didn’t know you have that can make your machine applique adventure a little more efficient. You will spend this class day making a table runner that is perfect for spring. 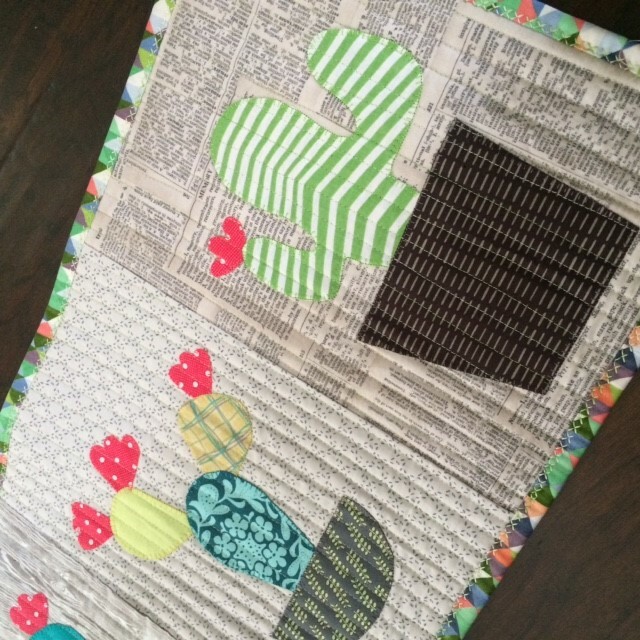 Check out this awesome looking table runner and call us at 979-693-6592 to reserve your spot today!